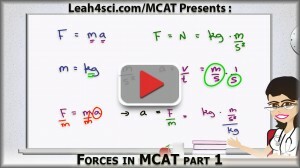 When it comes to forces in MCAT physics you have to do more than simply memorize a bunch of equations. 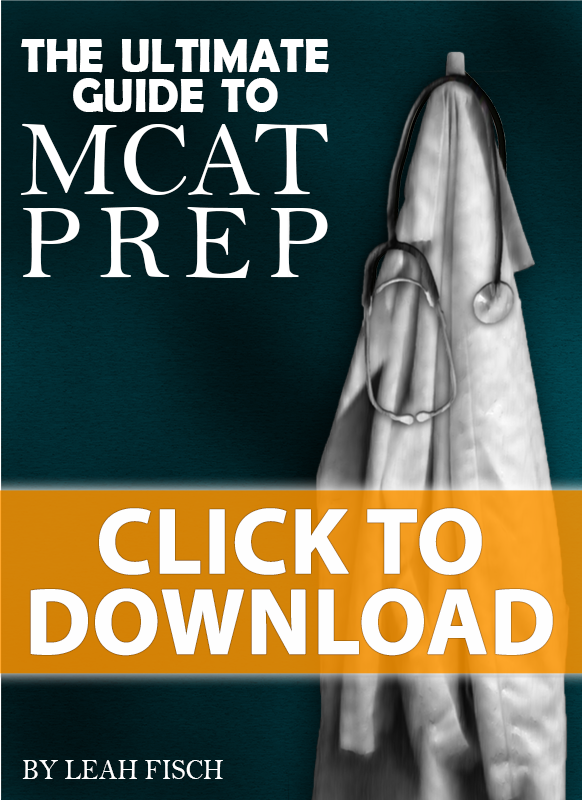 You need to set your goal on logic and understanding, being able to derive one force equation from another, AND being able to connect force equations to other MCAT topics including kinematics, work, energy and more. 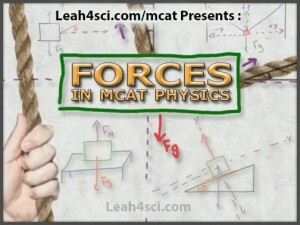 As an MCAT tutor I find that when students master this in forces, they have an easier time connecting other topics. 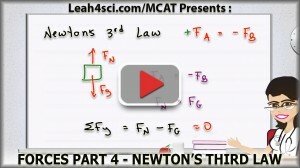 My goal with this video series is to help you make sense of Newton’s Laws and all the wacky force equations. 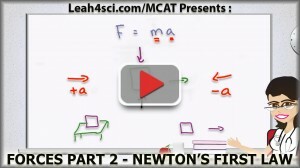 Every video series needs and introduction, and Forces in MCAT Physics is no different. This video introduces forces along with the proper way to derive units and ‘memorize’ equations. This video also shows you how to relate the kinematic equations to forces to ensure you don’t mentally isolate the different topics. Newton’s First Law is more than just an explanation of inertia. 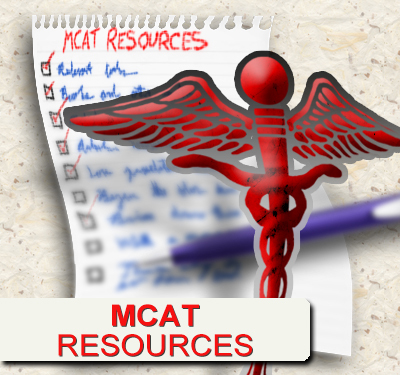 For the MCAT you will be required to UNDERSTAND and apply inertia concepts to bigger picture questions and passages. This includes understanding inertia for objects at rest or in motion, and objects in motion changing their direction. 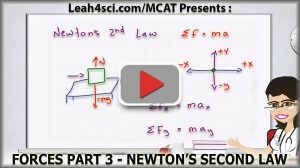 Newton’s Second Law talks about how the sum of forces results in an acceleration. This video breaks down the F=ma concept by looking at the sum in the x direction, y direction, and some component between the 2 axis. Newton’s third law of motion is potentially the most difficult to grasp. Fa = -Fb. This video breaks it down to help you understand how a force can ‘magically’ change to balance a counter-force. When it comes to static or dynamic equilibrium it’s important that you understand how to visualize forces in every direction. 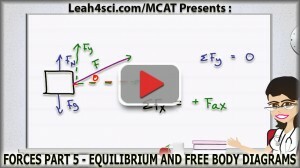 This video shows you how to set up free body diagrams then set up a simplified equation to help you minimize time wasted on potentially complex MCAT questions.